Abby Martin remarks on fast food giant McDonald's being listed as the second worst-paying corporation in the country, calling out the company for labor abuses, such as forcing its workers to pay for their uniforms out of pocket. 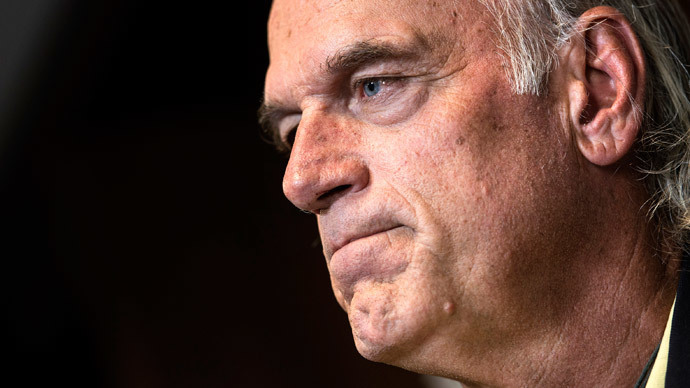 Former Minnesota governor Jesse Ventura talks about his new program on Aura TV, 'Off the Grid', and why he chose to leave the US for Mexico. CNN's coverage of the missing Malaysian airliner, with non-stop speculative attention to this story whilst ignoring other important news such as ongoing protests in Turkey, the Paralympics and the DoJ's decision to reduce drug sentencing penalties. Finally, Ben McLeish of the Zeitgeist movement discusses the 2014 World Zeitgeist Day, and what it would take to move society toward a resource-based economy.